Westmead Hospital’s Storr Liver Centre clinical nurse consultant Ana Maria Ladera, Westmead Hospital general manager Brett Thompson and clinical nurse consultant Kristen McKee. Hepatitis C is a virus that causes inflammation of the liver and is spread through blood-to-blood contact. The van will offer free blood collection and blood spot testing for hepatitis C by specialist staff. HIV testing will also be offered. No appointment is necessary. The van will be located at Parramatta Mission, 119 Macquarie Street, Parramatta on 12 April, with more dates and locations to follow. Testing takes just a few minutes. Once blood has been collected patients requiring treatment can commence care plans in a matter of weeks. Since March 2016, NSW has treated 22,145 of the 80,800 people estimated to be living with hepatitis C. In the Western Sydney Local Health District, it is likely that up to 9,070 residents have hepatitis C.
Less than 1,000 patients have been treated to date, which means more testing is needed so that people living with hepatitis C can be cured. Unlike older Interferon medication, the new treatments have a greater than 95% cure rate and mean taking just one tablet daily, for 8-12 weeks with no, or minimal side effects. Westmead Hospital staff aspire to eliminate hepatitis C by 2028. Westmead Hospital’s Gastroenterology and Hepatology director Professor Jacob George said many people are unaware they could be cured of Hepatitis C.
“We are moving toward eliminating hepatitis C from our population by 2028,” Professor George said. “Over time hepatitis C can cause scarring of the liver and can kill people who develop liver failure or cancer. 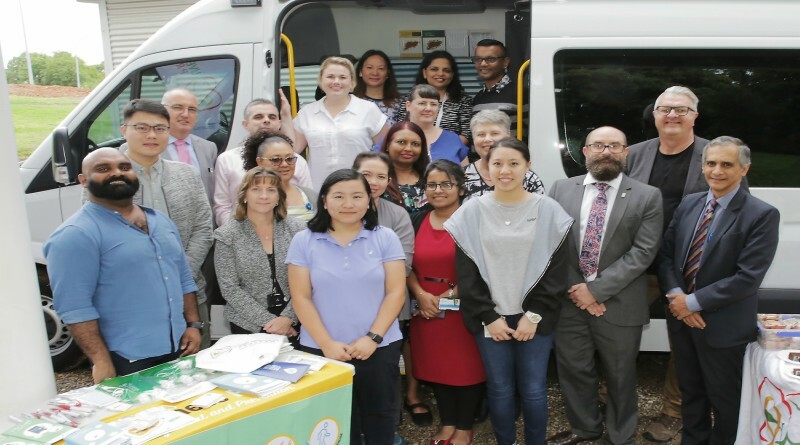 The $159,000 mobile van and service has been funded by NSW Health and Western Sydney Local Health District. The Ministry of Health is investing $4.5m in 2018/19 towards the elimination of hepatitis C by 2028.